Google Backup and Sync is now available for Mac - Here is How it works? 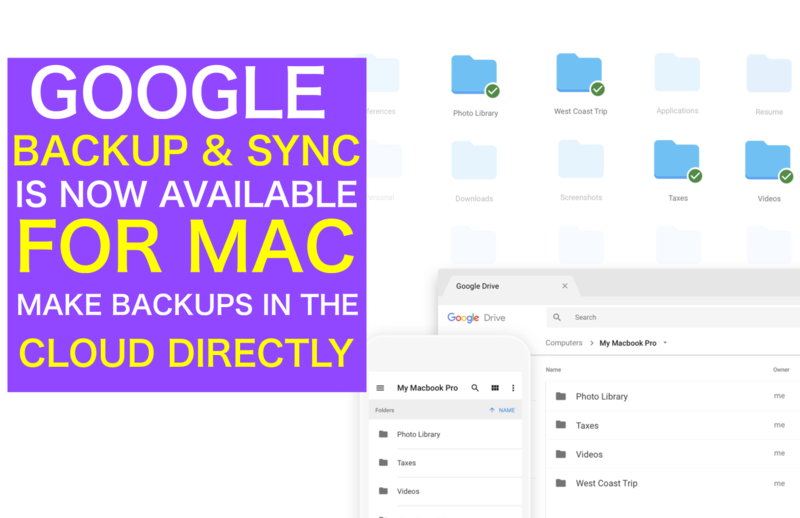 Google Backup and Sync is now available for Mac – Here is How it works? Just a month ago Google warned us about its next feature for Google Drive that is Backup and Sync. With this functionality installed, we can back up our files automatically in Google Drive, like a Time Machine in the cloud. And finally, it is available for us. How do the Google drive backup and sync work for Mac? The application runs in the background on our computer, and whenever there are new or modified files, it will upload them to Google Drive to keep an exact copy of the computer. If the files are images or videos, they will go directly to Google Photos. Amazing isn’t it? The problem here is the storage limit in the cloud. Google Drive for free offers up to 15 GB, although many of them occupied by a mail. On the other hand, in Google Photos it is true that we can store unlimited photographs and videos, but at a lower quality than the original. If you are thinking of using a Google account for business, it is not possible. One point to emphasise and that differentiates this from Time Machine is the fact that the Apple backup system saves a version history. With Backup and Sync, we will only have the current version, the last one synchronised. Although for most, it is more than enough. So, if you want to back up your files automatically and at no cost, try installing the app for free and start syncing your files to Google Drive. That is it!. In this way, you can backup and sync all your data like files, videos, photos, contacts, etc from your Macbook to Google drive. Easy isn’t it? I hope this article helps you to save your data perfectly in a Google drive. If you have any queries regarding this method, let us know in the below comment section. We will get back to you to solve all your queries as soon as possible. If you know any secure ways to save our data, share them with our readers in your comments below. What do you think of this new feature of Google offering drive for Mac?